Contribution of pictograms of specific exhibition venues of the International Poster and Graphic Design Festival Chaumont 2013 and 2014. 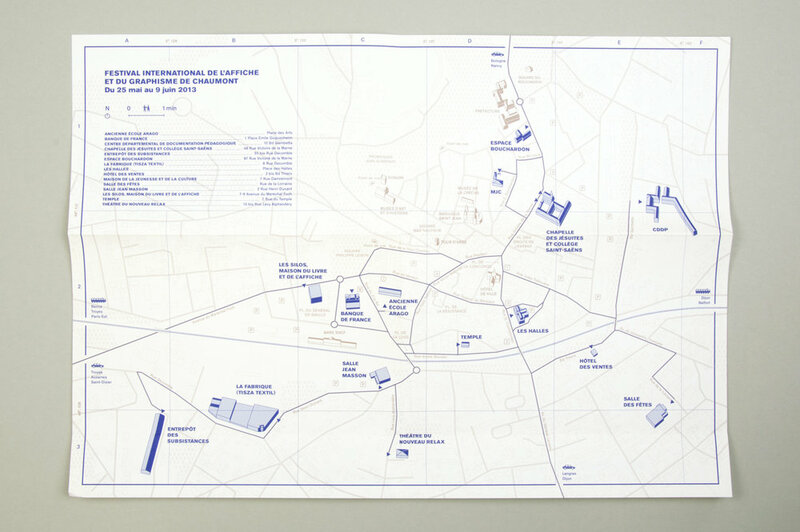 The event-related information and the interests in the city were printed in 2 different colors. 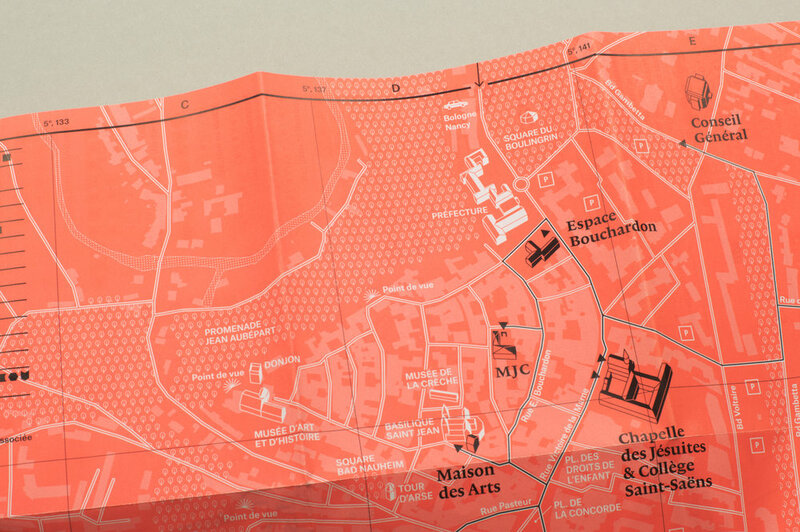 The pictograms were designed to have strong light and shadow for their clear presence on the map.